Until recently, most of my clients have been lifestyle bloggers. Many of whom only occasionally posted recipes, so I got to work with the free recipe plugins. 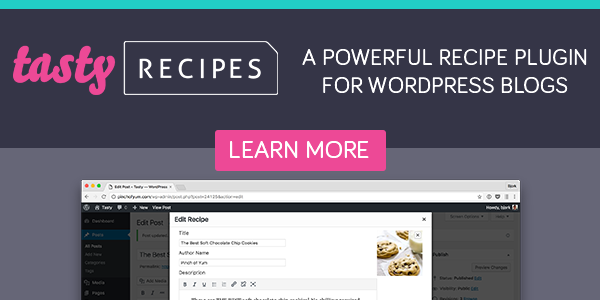 The popular ones like Zip Recipes and WP Ultimate Recipes are pretty good and pretty customizable. Those bloggers would often ask me about features that weren’t included in their plugins. We would then do a lot of plugin hopping, and in the end, they would have to compromise based on which features were most important to them. Lately many of my clients have been food bloggers. And they introduced me to a fantastic recipe plugin that most of the successful food bloggers are using. It is a premium plugin (not free), so if you are only posting recipes once in a while, it may or may not be worth it for you to purchase it. 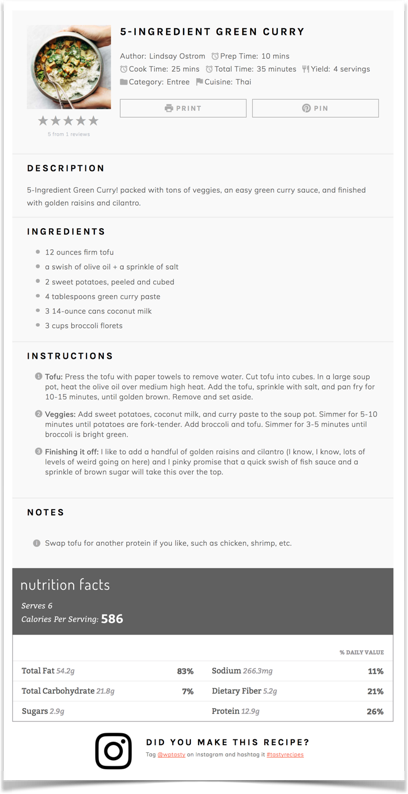 If you are a food blogger and need a recipe plugin though, I highly recommend WP Tasty. They have great support. The first time I had worked with their plugin, I had a question for them about how to use something. Raquel from their support team responded very quickly and was super nice and very helpful. Their main recipe plugin is called Tasty Recipes, but they also have a second plugin called Tasty Pins that helps you optimize your images for both Google and Pinterest traffic, along with giving you an easy way to hide additional Pinterest-worthy graphics inside your blog post that only appear when someone clicks on the “Pin” button.